So, what are some of the more grave inconsistencies within the series, starting with Redguard (due to the semi-reboot of the lore that took place between Daggerfall/Battlespire and Redguard/Morrowind, such as the introduction of the Imperial race)? -Perhaps the biggest one: The description of Cyrodiil in Pocket Guide to the Empire 1st edition vs how it is shown in Oblivion. The Imperial City in PGE 1 is described kinda like an 'asian Venice', whilst what we got in Oblivion was mostly an enlarged Mournhold (it is pretty obvious that they based the IC in Oblivion on Mournhold as it is shown in Tribunal). -In connection with the above: The Imperial Legion armour in Oblivion suddenly looks almost identical to the Royal Guard armour from Mournhold (further proof that many of the same designers were involved, IMO), not at all like the Legion armour in Morrowind. 'rebooting' the lore is something they should do anytime they discover that something they said in the past might actually turn out to be such a great idea, like not allowing beast races to wear full helmets or boots. But To make cyrodiil as dull as it was wasn't a necessary reboot. I'd much have preferred this tropical venice, and I'd also would have preferred that the imperials didn't become medieval but rather stayed mainly ancient roman. And yeah, speaking of the abundance of dwemer armor, that was something oblivion failed at in general. Bandits in glass armor? please.. Plenty of abandoned concepts out there. Sutch. A school for the thu'um in Markarth. The list goes on. They can typically be rationalized away, though. The Velothi dissident movement is a good one. Some sources say it took place in the Dawn Era, some say the Merethic era. I'd argue that this was an intentional inconsistency, though. Other intentional discrepancies include the varying accounts of the Battle of Red Mountain and the varying creation myths. Some of the dates surrounding King Harald are, at best, ambiguous. I'm sure ESO will end up demolishing many established conceptions of the provinces we haven't seen since Arena. The Eastern Provinces says that in the late Third Era, no army of Black Marsh or Morrowind had ever threatened the security of Cyrodiil or any Imperial province. People can try to explain that away by attaching all sorts of implicit contingencies, but I feel it demands an asterisk in light of ESO. Really, ESO could be seen as one big inconsistency. A giant, well-documented daedric attempt to destroy the world has gone entirely unmentioned until now? Pull the cork out. There are apparently two different dates provided for the Battle of Glenumbra Moors. Several writings make reference to the Dunmer before the Dunmer actually existed (which could potentially be attributed to the ignorance of in-game authors). The dates surrounding Gaiden Shinji vary dramatically. Like, centuries apart. There are several inconsistencies regarding the invasion of Ada'Soom Dir-Kamal. 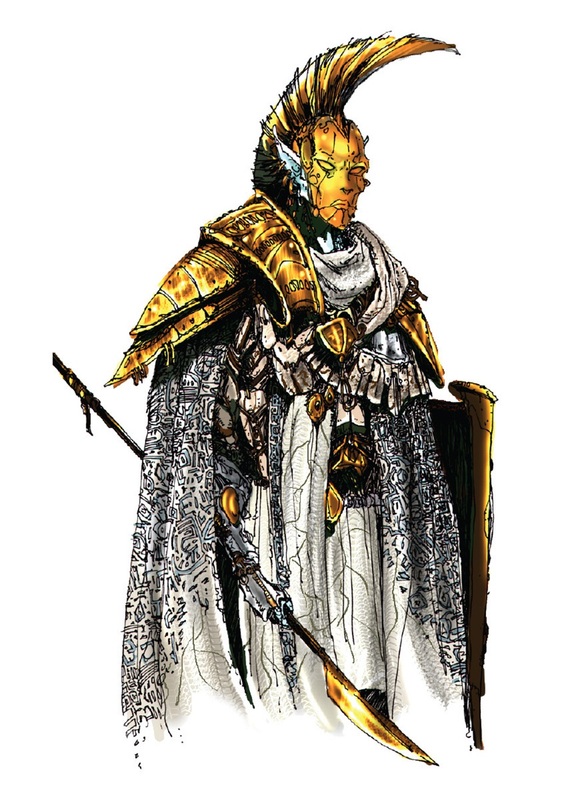 Read The Arcturian Heresy and Jorunn the Skald-King, and note that Jorunn should be treated as the authority, as it's more recent and MK recently deprecated The Arcturian Heresy as his worst writing. The all-time most annoying inconsistency to me: the voices of the Dunmer. Cool in Morrowind, bland afterwards. There are dozens if not hundreds of labeling inconsistencies which have caused endless debate on the wiki. The different sub-species of the two races go some way to explaining what was most certainly a gameplay-orientated decision, possibly relating to balance or player experience. The new ESO book Varieties of Faith: The Khajiit mentions Empress Kintyra, who wouldn't exist until about three centuries after the game takes place. Well, this author must have bloody good foresight to see something like that centuries before his time. I had a few nitpicks I watned to share, but this one sells it, and I am citing this one as the biggest one I've seen. Also, it's no excuse to allow sloppy lore-creation, but the game is set durring the Interregnum, is it not? So, it can be explained away that during the turmoil following the Alliance Wars a fair bit of information was lost to the interregnum. Like I said though, it's just a cheap cop-out and not a valid excuse. Oh my love, Anastasia, this may be our last goodbye. Yes, but Nords are known to not care about the cold weather because they're badass like that. It's always seemed really weird to me that the different games have different spells, particularly when later games have fewer magical effects than earlier games. I understand it from a game design perspective, but is the idea that the knowledge of how to levitate or teleport has been lost somehow? I would have LOVED it if Skyrim had radiant quests at the College of Winterhold (maybe from Urag gro-Shub) to track down ancient or long-lost magical knowledge that would result in spells you couldn't get any other way. If you guys are trying to make sense out of the Levitation Act, I have a bridge to sell you. I'm sure it's been discussed before, but what's the lore-based reason for mysticism being wiped off as an official magical school? If anything, Mysticism has always been regarded as an obscure school, with it's exact nature being a subject of much scholarly debate.. so it's understandable if different Mage factions, provinces, or even Charters define the subject of magic in their own views.. Skyrim.. or rather the College simply stopped regarding Mysticism as it's own independent school, and thus no one there had need to specialize in it. Be glad it did not become like Thaumaturgy had.. once a major school.. now most of it is either absorbed into other schools or simply not practiced at all..
Teleportation is certainly featured in Skyrim, there just isn't anyone to learn it from. Orchendor (of Peryite's quest) knows it but he isn't willing to share. There are several references to debate over the classification of Magic within the existing lore. The most famous would have to be a debate over the school of Destruction seen in Response to Bero's Speech and a debate over the school of Necromancy. While neither explicitly discusses the abolition of the School of Mysticism, it does set a precedent which allows Bethesda to do nearly whatever they want in terms of magic classification (sometimes with unhappy consequences). What else is modernity, but the absence of mysticism? Proposal: Schools of Magic speaks about this, too, and probably most explicitly, by saying that schools like mysticism and thaumaturgy were likely candidates to be "amalgamated" into the other schools. It seems to me they were supposed to function as catch-all schools for the most esoteric spells, and were phased out over the years as those spells either became incorporated elsewhere or else were rendered obsolete. One of the rare inconsistency explanations Zenimax has provided which is at least logical on its face. I'm not criticizing, just would like to see more of it. I have it on the best possible authority that most of the really bad "mistakes" in ESO were intentional. Especially the ones relating to references, people and books being oddly in the wrong era. This actually plays into the metaphysics of ESO's lore, not all of which is fully accessible at launch but which will slowly unfold in supplemental content. The ESO devs embrace the idea of Dragon Breaks and other concepts of Weird Tamriel and intend to run with them. The whole climate of Cyrodiil thing is actually still disputed in ESO. While it literally appears as a temperate zone as in TES VI, there are in-game authors who dispute that it's always looked this way. There are still references to jungle, and an overall sense that some weird cosmic event has tempered with time and space.